There are many joys to homeownership and for those who have a green thumb there may be no greater joy than having a beautiful garden in the backyard. It’s a constant swell of excitement every time you step out your back door and see how your creation is coming together, as it grows and changes over time. Of course, there’s a lot that goes into designing and laying out a backyard garden. For one, you have to choose where you’ll place the pathways and where you’ll place the plants. If you’re going to have climbing plants, then where will you give those plants room to grow? Aside from the basics, there are all the little décor decisions that go into making a beautiful garden. Perhaps you’d like a statue here? Maybe there’s room for a water fountain over there? If you’re currently putting together a garden in your backyard, then you need to see these 18 inspirational and beautiful backyard gardens! 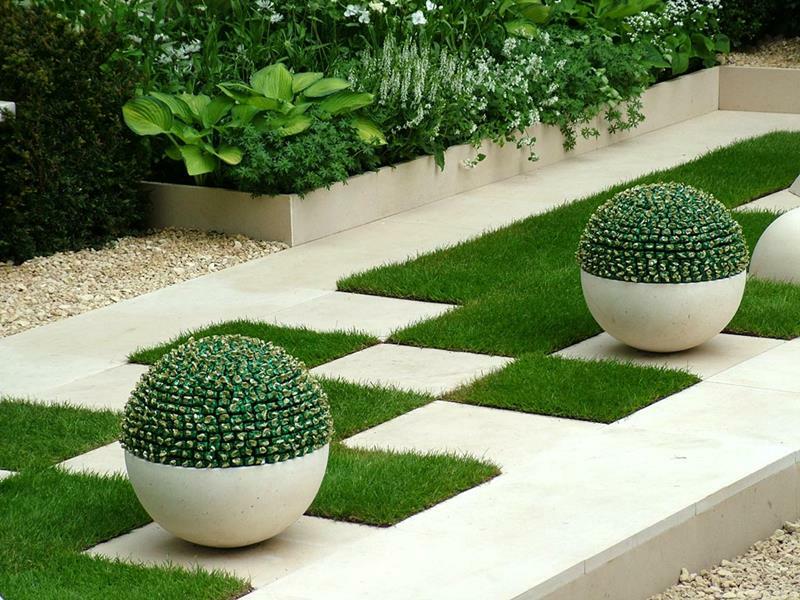 Each on has something completely charming about it, and perhaps one of them will give you a tremendous idea for how to layout your garden! So, take a look, and check out what these homeowners have done. 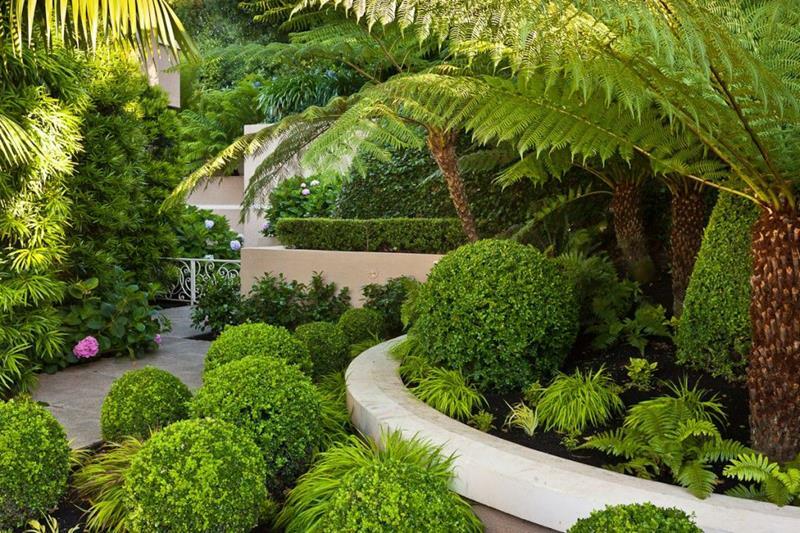 We’re sure these gardens will tickle your green thumb pink! 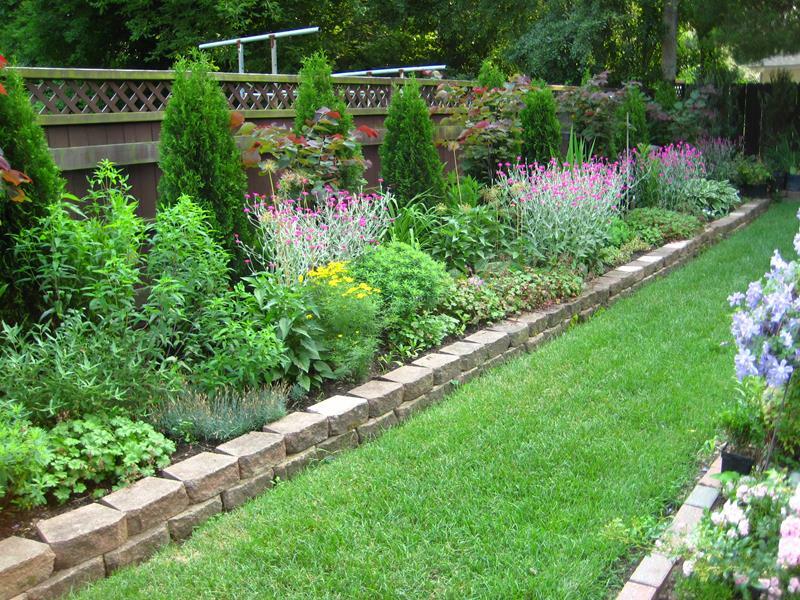 With two garden areas flanking a long lawn area, this backyard garden puts everything in a row. The stone columns in this beautifully manicured backyard garden provide a space for climbing plants. 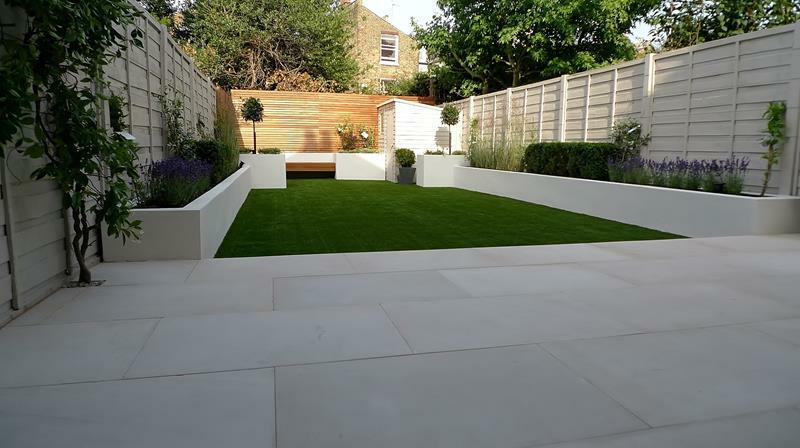 The design of this beautiful backyard garden has a lot of modern appeal that should appeal to those with contemporary homes. 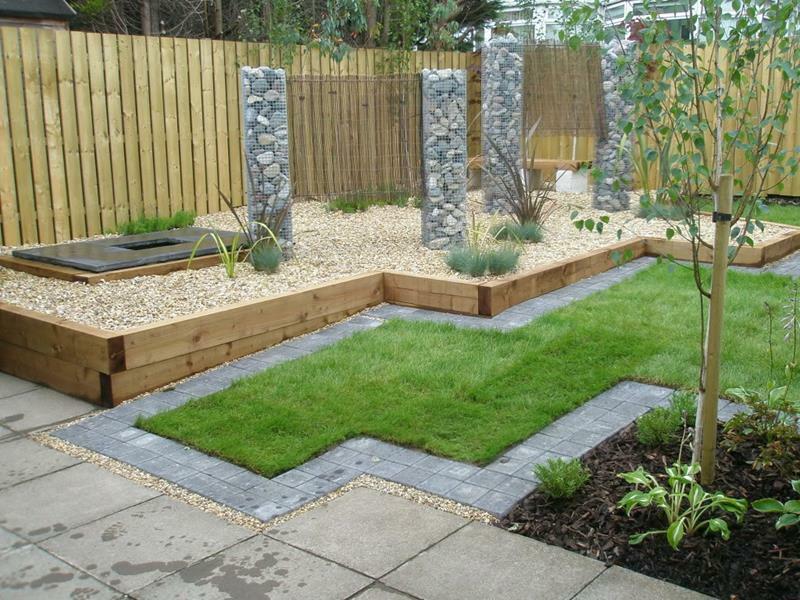 To add visual interest to this backyard garden, squares of grass have been created in the patio.